Early in the week I had some tech issues when Apple finally managed to foist an unwanted update onto my phone when I was downloading some pics (note to self: that’s what my camera is for…) which jammed the wretched thing. Fraught hours I couldn’t afford later, I finally managed to it by restoring it to factory settings. The whole episode rankles, frankly. Just like the fact I can’t remove the Stocks and Shares and News links from my phone – since when do Apple get to mediate the priorities in my life? The grandchildren returned unexpectedly for another stay on Tuesday through to Friday, which was a lovely surprise. The better weather meant we were able to go to the beach and visit the gorgeous Highdown Gardens, where my butterfly pic above was taken last year. Other than that, we didn’t go out and about all that much – I have a fair amount of work on my plate and we also spent a significant slice of time watching the Olympic action in Rio. Oscar, in particular, was very keen to follow Team GB. Leandra Weal has a bad habit of getting herself in dangerous situations. While hunting neodemons in her role as Warden of Ixos, Leandra obtains a prophetic spell that provides a glimpse one day into her future. She discovers that she is doomed to murder someone she loves, soon, but not who. That’s a pretty big problem for a woman who has a shark god for a lover, a hostile empress for an aunt, a rogue misspelling wizard for a father, and a mother who–especially when arguing with her daughter–can be a real dragon. This intriguing offering can be characterised as hard fantasy, with a rigorous magical structure played out within a highly talented, touchy family. It makes for a fascinating, original dynamic in epic fantasy. Balmoral Murraine works in a Battery, assembling devices she doesn’t understand for starvation pay. Pasco Eborgersen is the pampered son of an Elite, trying to navigate the temptations of the Pleasure Houses, the self-sacrifice of the Faith, and the high-octane excitement of Steel Ball. They never should have met, and now they will rip the world apart. What happens when ninety percent of the world lives on skaatch – a jellyfish and insect composite? What happens when mankind spends more time in alternative life sims instead of in the “real” world? What happens when economic interest is the sole determinant of global decision making? What happens when a single secret is discovered that calls into question everything we have ever believed? Welcome to the Autonomy. Welcome to your future. This post-apocalyptic dystopian science fiction adventure is a cracking story, with some sharp things to say about the current inequality of resources and the damage caused by runaway capitalism embedded in amongst the entertaining action. A strong, thought-provoking read I reviewed yesterday. Harry Potter Month (20) https://lynns-books.com/2016/08/20/harry-potter-month-20/ Lynn has been featuring all things Harry Potterish this month and I really enjoyed this selection of covers from Harry Potter and the Goblet of Fire. Miss Majorie Fay https://readlorigreer.com/2016/08/15/miss-marjorie-fay/ Lori Greer pays a moving tribute to an inspirational teacher. Those unexpected visits can be fun, but hectic:) That butterfly looks like it posed for you! And it seems everyone is having problems with their equipment being updated. My computer got wiggy for a day or two and my posts looked kind of weird. Had to keep tweaking them to get them to work. Oh the visit though hectic sounds wonderful. We aren’t Apple people but I know my daughter hates some of the forced things they do on their phone. Glad it’s working again and I hope technology treats you better this week. Thank you, Kimberley! I’m staying right away from any kind of update. I hope you, too, have a great week and manage to fully recover from your vacation – I cannot IMAGINE 19 hours car travelling… A 5 hour journey is bad enough! Take care. It’s always so distressing when something goes wrong with your technology items. I am glad you manged to get it back to the factory settings. That sounds like a nice surprise that your grandchildren stopped by for another visit, I hope you all had fun! Have a great week! Not a fan that I can’t delete the Stock and Shares and the rest from my phone. I finally put them in their own little menu and pretend they’re not there. The visit with your grandchildren sounds wonderful. When I was a kid I used to stay with my grandparents for weeks at a time and it was magic! I love the butterfly pic and Highdown Gardens sounds lovely. We have a wonderful Botanical Gardens locally but we haven’t been this year. I might have to take the Tornado as a surprise after school treat. Have a great week! I have an iPhone, too, and so far, they just give me repetitive annoying reminders of a software update needed, to which I always reply: later! As it is, I hate the process, and always worry that something will go irrevocably wrong. I don’t trust it! The first time I did one (I avoided it for a long time), I thought I had lost use of the phone when it went dark. LOL. Thank you so much for including my post! So very kind!! Hi Sarah! Your butterfly pic is so beautiful. Oooh, apple, don’t know much…. glad the grandchildren came again for an unexpected visit. Always fun! I’m on my cellphone, electricity down since last night. Will try to do It’s Monday tomorrow quickly. Hope your week will be great too! Yes… sorry about the techno-rant, I just get fed up with corporations get too big for their bossy boots! How miserable with no electricity:(. Hope power is soon restored. Take care and have a good week, Mareli. Fortunately, although I was annoyed – I wasn’t in major meltdown as I would have been had it been my computer. And oh yes… I would have been hyperventilating for sure. How horrible for you! I hope all was retrieved without any loss? And it’s so easy to shake my head and tut… but I think we’ve all been there. Hope you managed to sort it without losing anything. I enjoyed watching Team GB and Canada’s athletes as well as the Americans, especially in the water related sports like rowing and whatnot. saw some exciting finishes by those teams! I’ll be sorry to see the Olympics go, although most of my favorite events were last week so my viewing tapered off a bit. 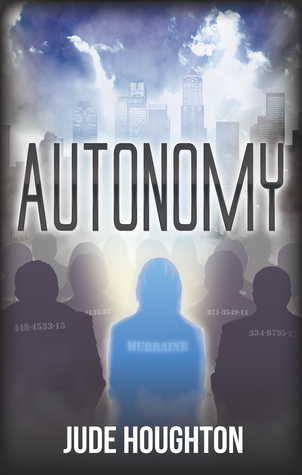 Autonomy sounds interesting, and a book I’m reading (Time Siege) echoes some of those same issues. Thought provoking. Glad you had some nice family time, and hope this week is nice as well. My android phone did something hinky this week too! It started saying it was optimizing apps and wouldn’t ever come back on…had to do the factor set thing too…blurg!! 😦 That is a pain. Yes… same here. Back to Restore – fortunately I had a backup setting on my computer so I didn’t lose everything. But it was a wretched nuisance and a timesuck I didn’t need as I spent best part of a day grappling with the bleeping thing! You never see the crew of Star Trek have these problems with their coms, do you? I keep getting an install update message on my iphone but keep avoiding it. Glad you got more time with the grand kids. The picture is really pretty. Thank you – I do love taking pics, but haven’t had much time this last year… As for the phone – I’m not going to update it again anytime soon! Oh that was nice to have the kiddo’s back! But also means less time for other plans, but it’s all okay. 🙂 Glad you had fun with them. I really recommend this one – it’s something quite different and his magic system is really intriguing. I’ve watched the Olympics quite a bit over the past couple weeks, too. What were your favorite sports / events to watch? Spellbreaker sounds interesting – although I noticed it’s Book 3 of a series, so that wouldn’t be the place to start. Do you recommend Book 1? I discovered I LOVED watching taekwando, the hockey, all the races but particularly the triathelons and the cycling… *sigh* Gosh, I’m missing it! As for the Spellwright series – oh yes, do start with the first book – I’ve written a review of that one, too. It’s a bit slow to get going, and Spellbreaker is definitely better – but I loved the premise and very much enjoyed the magic system. You threw me for a loop when you said “hockey.” The only kind I knew of was ice hockey – so I had no idea there was a different version for the Summer Olympics! I’ll have to put the first Spellwright book on my list then. It sounds interesting. Thanks! We used to play this version of hockey at school – and I played left back for the school team. We were quite handy and won a bunch of tournaments, etc. I loved sports as a girl. What about you – were you sporty at all? Not really… I took dance lessons from age 7 to 21, and swimming lessons for several years too. But I wasn’t interested in playing competitive sports. What sort of dancing did you do, Sara? I started with ballet for 2 or 3 years, then ballet and jazz until I was 13, and then hip hop / aerobic-style until I was 21. I did annual recitals for all of these, and also took part in a student-choreographed dance show in college during my junior (3rd) year. I’m sorry to read about your phone struggles: it’s never pleasant when a piece of technology is wasting someone’s time and nerves. On the bright side, it seems that the rest of the week turned out well :). I’m looking forward to reading your review of “Spellbreaker”. It seems like an interesting book. Thank you for your kind commiseration – and you’re absolutely right about the waste of time and nerves! 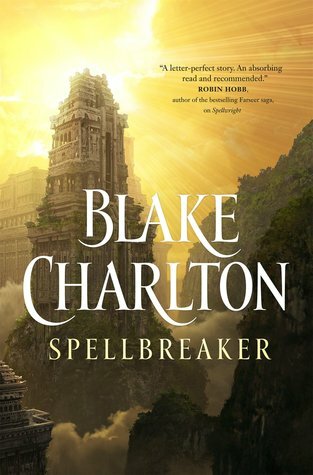 As for Spellbreaker – it is a really interesting book – I’ll be releasing the review on Wednesday. Aww I thought the pic was stock, so amazing! 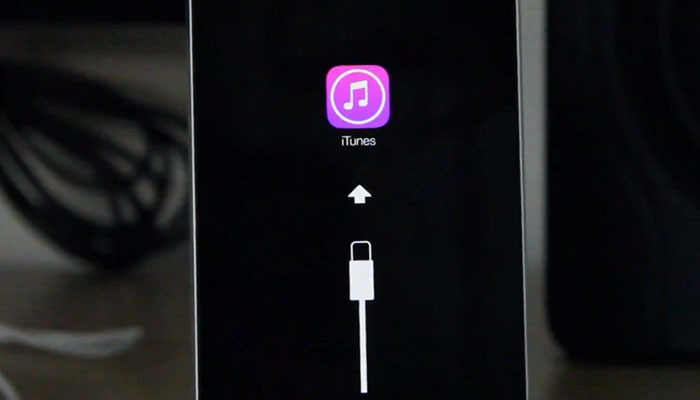 Not an Apple fan or user exactly because that happens way too often, so frustrating. Hope that was the last time, have a great week! It’s not just Apple, Microsoft was aggressively trying to upgrade me to Windows 10 right up to the point they started charging for it. Several times I had to do a hack to block them.